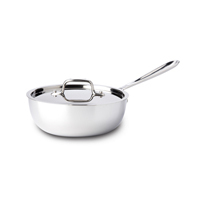 The All-Clad d3 stainless cookware line features a tri-ply construction that heats evenly and is dishwasher safe. 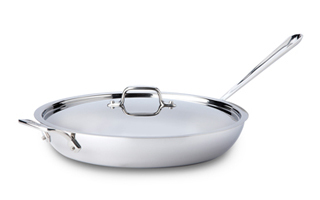 The cooking surface is hand-polished 18/10 stainless steel that will not react with food. 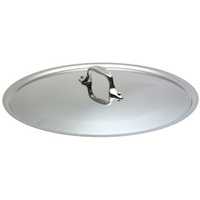 The inner core is pure aluminum, not just at the bottom, but all the way up the sides. 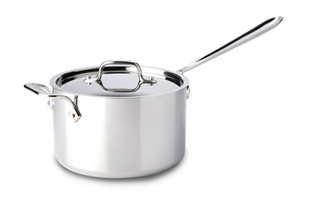 All three layers are bonded together for optimal heat conductivity -- perfect for browning and searing. 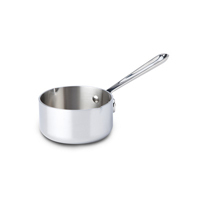 The stainless exterior is magnetic so it is induction compatible. 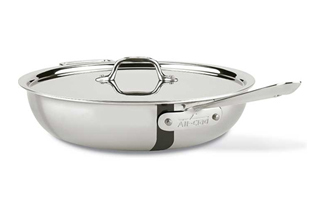 Start your All-Clad collection with these great values. 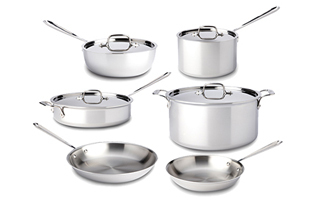 Choose from 6-piece, 7-piece, 9-piece, and 10-piece sets. 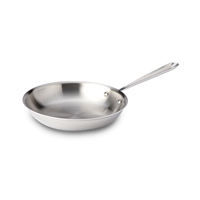 All-Clad's innovative french skillets are a cross between a fry pan and a saute pan. 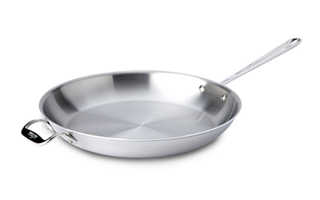 They're lighter weight for easier handling. Made in the USA. 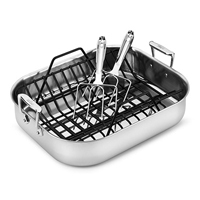 Rectangular roasting pans are deeper and heavier than bake pans. 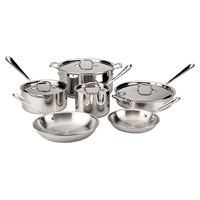 They are designed to cook turkeys, chicken, pork loins and other meaty roasts. 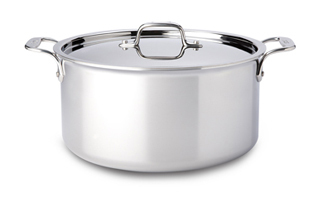 You can even use them to bake lasagna, shepherd's pie or other casserole dishes. 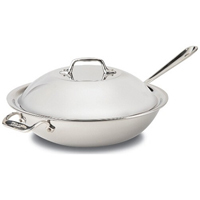 A large, flat-bottomed wok for stir-frying. 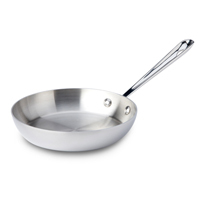 It also can be used for deep frying, or as a second fry pan for cooking burgers, chicken, etc. 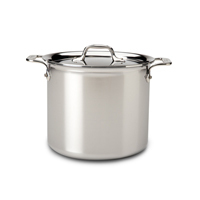 A Dutch oven is excellent for slow-cooked, hearty "comfort foods" that are enjoying a revival. 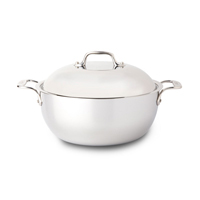 Wide and deep, this professional-weight Dutch Oven is beautifully styled for convenient oven to table use. 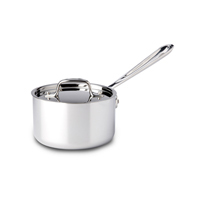 This small pot holds two cups and is perfect for melting butter or for preparing other sauces. 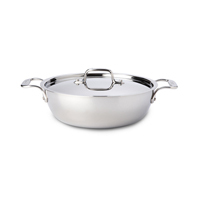 The cassoulet is a low wide pan perfect for one dish meals. 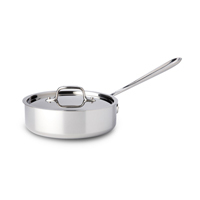 Shop a complete selection of All-Clad stainless and copper lids and replacement covers for many pieces of All-Clad cookware.